For two decades, the Renaissance Remodeling design team has renovated and improved hundreds of homes in the greater Boise area. We understand that you come to the remodel process with lots of ideas. Your home is a reflection of your personality and it's important that the project be driven by your vision. Through listening to you, our team will become your partners and your guides to build on your dreams with the knowledge and experience to produce high quality and professional results. Renaissance Remodeling is a local, family owned business certified through NARI (the National Association of the Remodeling Industry). We view our clients as neighbors. With that, each client’s satisfaction is important to us whether we are giving your kitchen a minor makeover or completely remodeling your entire home. Your home is where much of your family’s history is written. It should grow with you. No matter how extensive and intricate your project is we will work endlessly to provide you with the utmost quality. Our design team and project coordinators, led by father-and-son team Jim and Chad Vincent, want to help you create your dream home and have the skills to turn your vision into a beautiful reality. 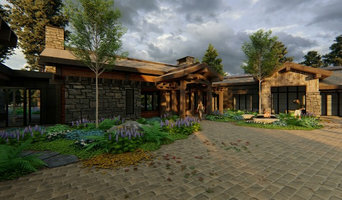 Canyon Crest Homes offers you something most Idaho home builders don’t – outstanding customer service after the close. All Canyon Crest Homes are covered by a full One-Year Warranty, which means that if you have any problems or questions during your fist year in your new home, help is just a call away. When you call Canyon Crest Homes, you’ll get a nice surprise: We make all the calls for you and coordinate things so that the work gets done right and in a timely fashion. After all, we realize that your time is valuable and we wouldn’t dream of wasting it. Trust your next Idaho home construction to Canyon Crest Homes – We Help You Build the Dreams of Tomorrow Today! Innovative Custom Homes is a Boise Idaho designer/remodeler/new home builder specializing in building ICF (Insulated Concrete Form) homes and is owned and operated by Heather Echevarria. We strive to make each home we build/remodel a work of art and craftsmanship. We focus on the details, creating a home that you will be truly proud to own and live in for years to come using the most innovative building techniques to create homes of lasting value and distinction. Our homes stand the test of time through innovative floor plans and materials, superior value, and style. 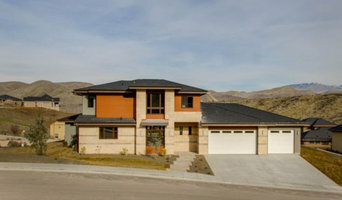 Innovative Custom Homes will design and build your dream home on our lot or yours in the Treasure Valley area. You can choose from many fully customization floor plans that we currently offer, we can design one specifically for you, or simply bring us your own custom plan to build. Our experienced team offers over 20 years of experience building in every corner of the Treasure Valley on lots big and small. Build your dream home in Boise, Eagle, Meridian, Star, Kuna, Nampa or anywhere else in the Treasure Valley. With ties to many of the nicest subdivisions in the area, let us use our expertise to help you find that perfect building lot for your new home! It is our mission to help you get the home you want...where you want it...and to have fun doing it! We are locally owned Boise Landscape Design & Build company. FarWest has been creating beautifully crafted landscapes in the Treasure Valley for 42years. We strive to blend your needs and desires with our landscape expertise and create an outdoor space that you will love! We look forward to working with you. INLA MEMBER, Idaho Botanical Garden Supporter, Community Partners with: Boise Valley Habitat for Humanity, local elementary schools and the Idaho Foodbank. At ShadeWorks, we take pride in creating beautiful, durable, low-maintenance aluminum patio covers and shade structures that increase the comfort and value of your home. With multiple styles, colors and design options to choose from, we can help personalize a beautiful structure perfect for your outdoor space. We offer the industry's strongest and most comprehensive warranty with environmentally friendly products proudly manufactured in the USA. Engineered with aluminum materials in order to ensure a durable, long-lasting and low-maintenance structure. With an embossed wood grain finish you can enjoy the beautiful look of real wood without any peeling, cracking, warping or sagging found with wood or vinyl materials. Reach out to multiple professionals — especially for larger projects — and don't settle for the first quote you receive. Comparing multiple Boise, ID professionals' quotes and experiences can help you find the one that’s best for you. Ask a lot of questions now, so you won't have unexpected answers later. Find a home design professional on Houzz. Narrow down your search by type of professional and location. 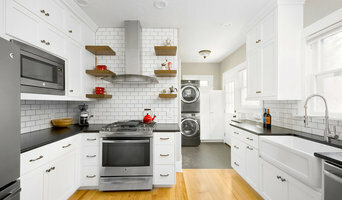 Browse Boise, ID portfolio photos, read client reviews and contact each home improvement professional for more information. Check out the information in the specialised professional sections too for tips on how to hire the right professional for your project.